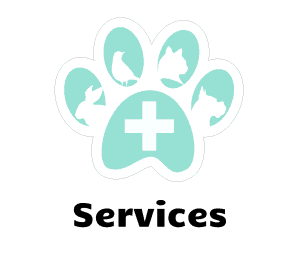 Our mission is to treat your pet with kindness from the puppy and kitten stages through the end of life decisions. 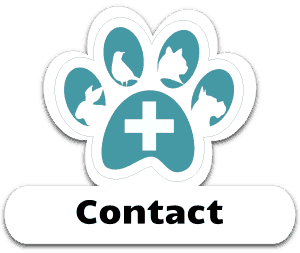 Request your appointment today with our veterinary hospital! 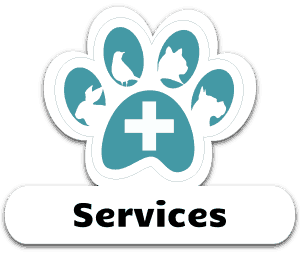 We are a full service animal hospital serving Green Cove Springs and the surrounding area. We are dedicated to providing excellent, compassionate care for your pet. Our mission is to treat your pet with the kindness from the puppy and kitten stages through the end of life decisions. We give treats, toys, and love to your pet from the moment they enter our door to give them the best possible experience. 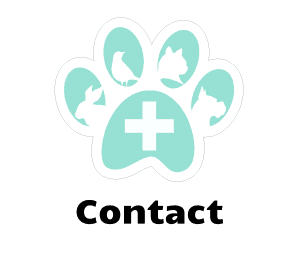 We see pets on an emergency basis and for routine care. We provide all services from surgery and dentistry to preventative and geriatric services. We will give you guidance and education so you can make the best decisions for your family member. 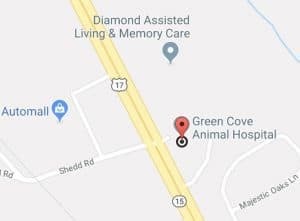 We are conveniently located on Hwy 17 in Green Cove Springs across from Garber Automall. We provide our own trustworthy and convenient online pharmacy so you know you are receiving safe and legitimate products. We also provide same day refills at the hospital. 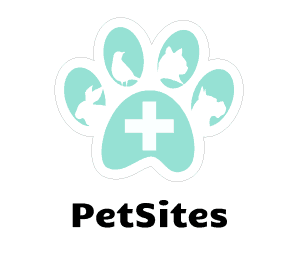 Easy access to your pet’s veterinary records is provided for current clients. We also provide our own trustworthy and convenient online pharmacy so you know you are receiving safe and legitimate products. Same day requests can be refilled through our hospital. Easy access to your pet’s veterinary records is provided for current clients through our pet portal. We look forward to meeting you and your pet!